You may think that waiting to replace your water heater will save you money. But did you know that nearly 70% of all water heater failures are the result of a slow leak or a sudden burst, and that repairs can cost between $4,000.00 and $5,000.00? Act before your hot water heater fails, and you can save thousands. 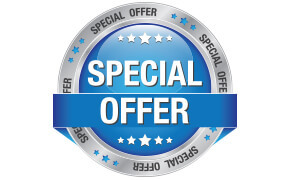 If your water heater is more than 10 years old, call us immediately for a free consultation. Invest in a 4 Star Plumbing Services hot water heater with a high energy efficiency rating. Not only will you save money every month, but you can qualify for an Energy Star Tax Credit too. Tankless Water Heaters. Our Tankless units have an energy rating of .82 to .95. If you need consistent hot water that a standard tank can’t provide, try our tankless water heaters. We have gas and electric units that can heat single fixtures, whole homes, and commercial units. Hybrid Heat Pump Water Heaters. Our hybrid heat pump units have an energy rating of 2.0! With an energy rating this high, you can imagine how much you will save every month. Solar Water Heaters. Solar water heating systems can have a 20 year life. That’s twice as long as most other heaters. What’s more, your monthly gas/electric bill will be reduced dramatically by relying on solar heat for most of your hot water. 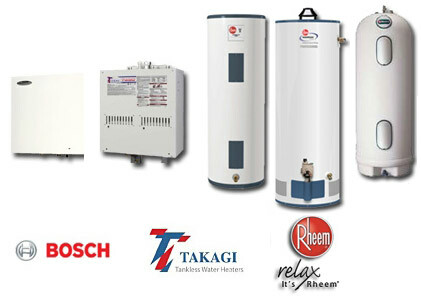 Standard Tank Type Water Heaters. Our Standard tank water heaters rate between .58 and .85, and there are units that qualify for tax credits. Tanks range in size from 10 gallons to 120 gallons and are fueled with gas or electric. Pool Heaters. We have gas, and Energy Efficient Heat Pump Models. Find a Tax Credit Qualified Model Today! Want to speak directly with a professional? Call us today and schedule your free consultation. Or if you want to learn more about which water heater is right for you please click here and visit our water heater buyers guide.